As part of its Windows 8.1 Update, Microsoft today also announced an update to its Internet Explorer 11 browser. While the changes on the desktop are mostly about enterprise users, the F12 developer tools and bringing the interface up to par with the overall Windows update, this is the first time IE11 comes to mobile. There, the changes are pretty dramatic for Windows Phone users. IE11 on mobile, for example, now features a distraction-free reading mode, InPrivate browsing and unlimited tabs. To speed things up, the new version will also do pre-loading and pre-rendering. Just like on the desktop, Windows Phone users will now also be able to pin sites as live tiles. Tabs, too, will now be synced between devices (using your Microsoft account and OneDrive). Also new is a “High Savings Mode,” which is similar to Google’s data-savings proxy and Opera’s Turbo mode. This mode will route your data through Microsoft’s data centers and the service will compress your images and other page elements. In total, Microsoft says, this can reduce data usage by 60 percent to 80 percent. The other smart feature here is that this service will only load the elements of the page that are relevant for the content you want to view. In the long run, Microsoft tells me, this mode could also come to the desktop. On the desktop, the main enhancements are hidden in the F12 developer tools. The debugger, for example, now features source maps, a tool for granularly measuring UI responsiveness and other improvements that let developers drill down to how their code performs on IE. You can find a full rundown of the changes here. Enterprise users will also get a bunch of new features. 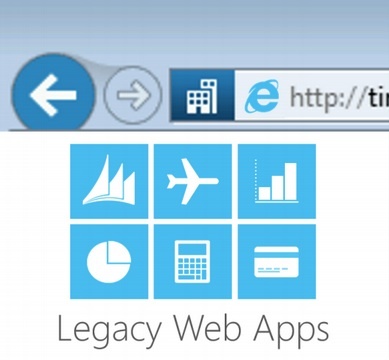 Most importantly, a new compatibility mode that allows organizations to run web apps written for Internet Explorer 8. IT departments will be able to create an exception list. This, Microsoft argues, will allow enterprises to benefit from a modern browser, while still giving them the option to reduce their upgrade costs and extend the life of their older apps. Unlike previous IE launches, Microsoft will update the Windows 7 version at the same time it launches the Windows 8.1 Update. For developers, Microsoft is also making a couple of changes to become a bit more transparent about its support for web standards. Status.modern.ie will give developers insights into what standards are supported on IE, which ones are under consideration and which ones Microsoft is actively working in. For now, this is just a beta and doesn’t allow for any two-way communications with the IE team, but that dialog is what Microsoft is looking for and will be added to the site later. 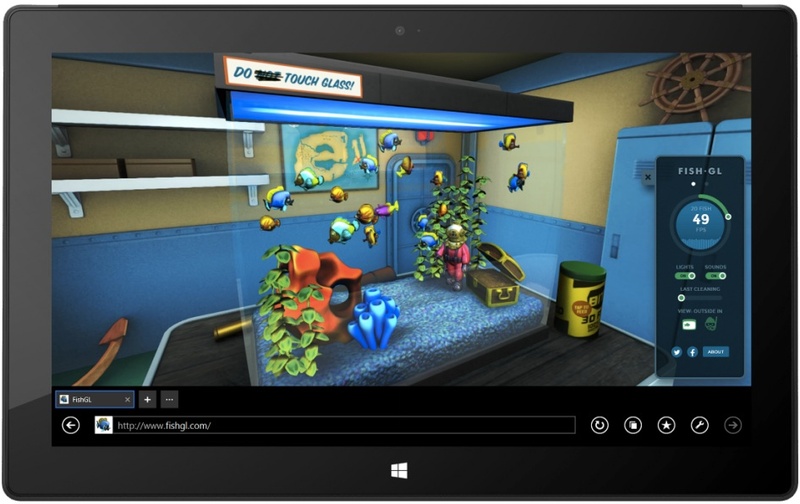 To show off the power of WebGL on IE11, both on desktop and mobile, Microsoft also launched a new version of its aquarium benchmark – this time, in full WebGL glory. You can give it a try here.